"I am procrastinating by taking photos of my garden, when I really should be writing a research paper for my business course." Just a little definition to enhance our vocabulary. But, since the second example referenced garden pictures, I figured, why not?! 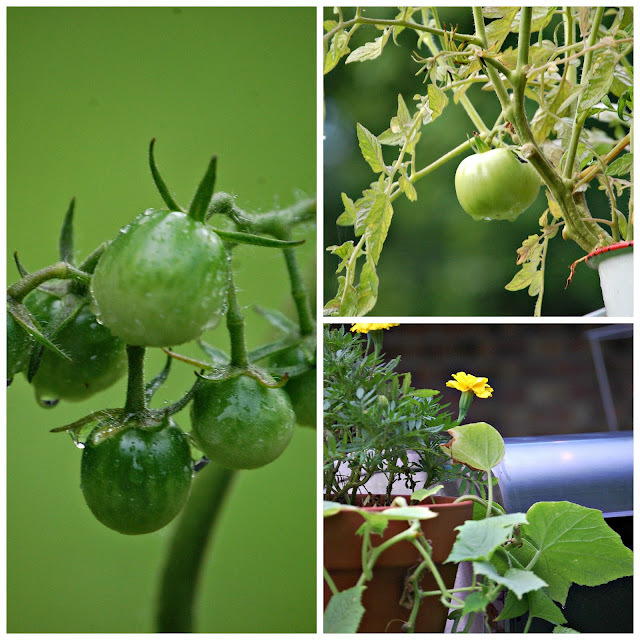 We've got so many green tomatoes. I can't wait to can some spaghetti sauce, salsa, and stewed tomatoes! We also have a lot of blooms on our cucumber plants. More pickles! 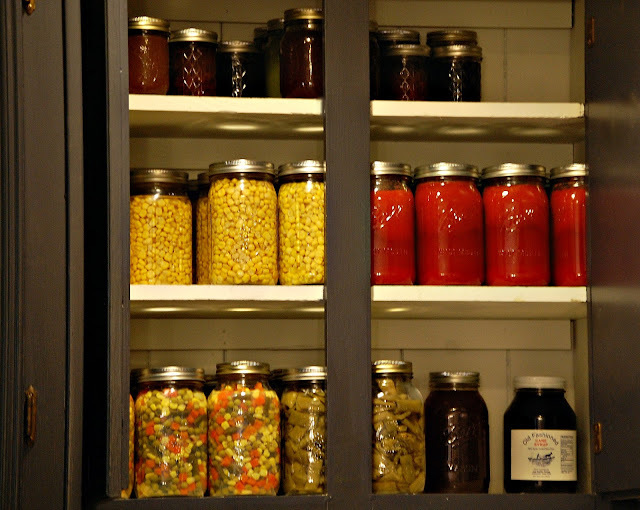 After a weekend of canning, I had to clear out this cabinet, because my pantry was full! This weekend I put up mixed veggies, Italian snap beans, strawberry lemonade concentrate, and corn. The top shelf is a variety of jams and jellies from last year's canning, and the bottom right is a jar of local honey, and some old fashioned cane syrup that I bought at the feed store. 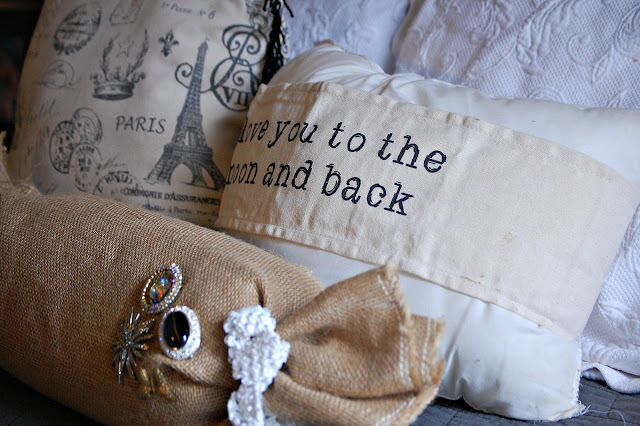 The gift was a pillow wrap that says, "I love you to the moon and back!" How sweet is that?! I do love my hubby... I'm so blessed! From the bottom of my heart... thank you, thank you sweet friend of mine for thinking of me on my birthday.... Sweet Rachal! 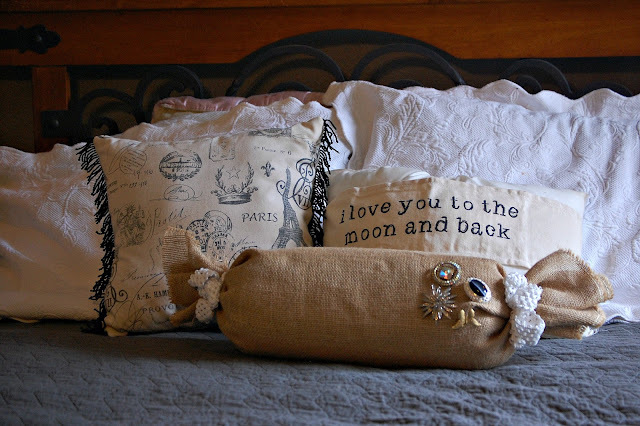 I wrapped the bolster with burlap, tied the ends with an elastic ribbon (like a piece of candy), and pinned my great grandma's broaches on one end. Sorry it is foggy... who knows why? 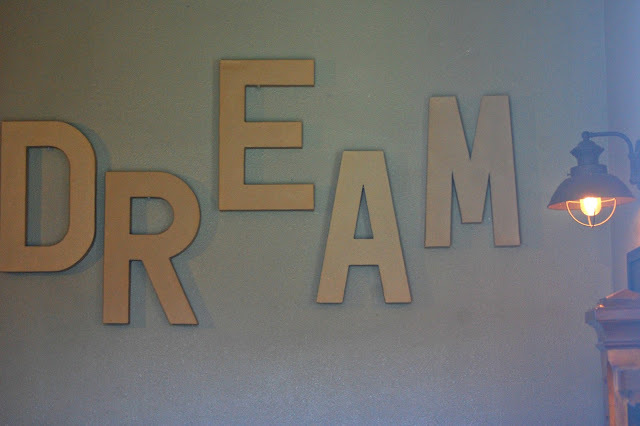 D-R-E-A-M letters purchased ((on sale last week, maybe still?)) at Hobby Lobby. 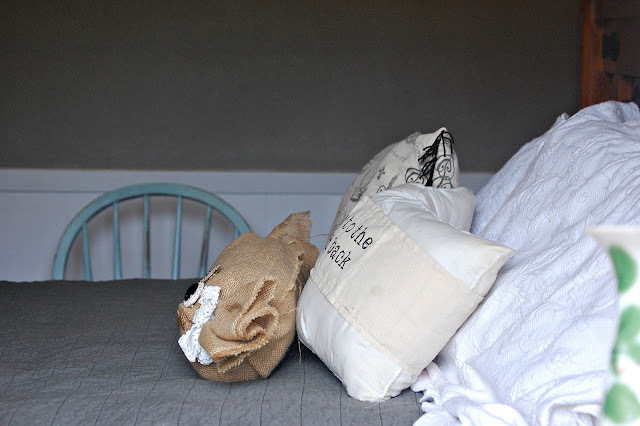 I purchased some really cute pillow covers off of etsy, and need to add a few more pieces. Before it is over, we'll have a pile of pillows. Making the bed will really be a CHORE! Hope you're enjoying your Monday! I'm so ooooohing and ahhhing over the pictures and just thinking about everything you are into just puts me to shame!!! I J U S T H A V E T O G E T BUSY! Ha! No shame.... I've just learned to angle the camera in a way that you can't see the pile of dirty clothes/dishes! LOL!